24 LISTS Enter the Animal KingdomStories, pics, trivia, and interesting tidbits about all creatures, great and small. When it comes to the animal kingdom, some critters hit the jackpot when it comes to ear size. Whether you are talking about a large animal like the African Elephant or the much smaller Bush Baby, there are plenty of animals with the biggest ear to body ratio, which makes them the critters with the biggest ears in the world. Granted, an elephant's ears are significantly bigger than other animals, but compared to their body-size, some smaller critters' ears are considerably longer and larger than you might think. While they may also look cuter than other animals with smaller ears, many animals with big ears have them for very good reasons. Often, they are used to aid in cooling or even warding off pests. Other animals with long ears are capable of positioning them to hear sounds from specific directions or even pick up sounds at frequencies humans can't even hear. 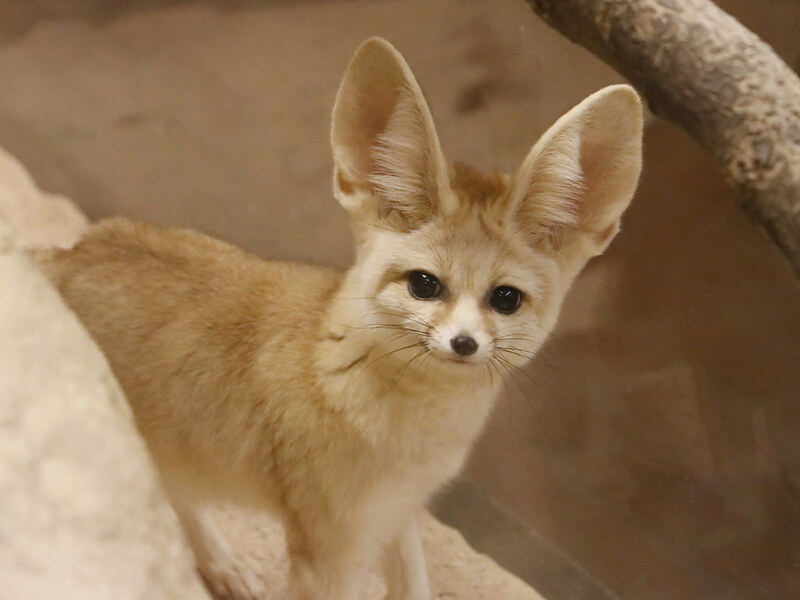 Whatever their reason for evolving large, adorable ears, these animals are the ones with the biggest of them all. The Serval is a species of wild cat found in sub-Saharan Africa, though there have been some spotted in North Africa and the Sahel. Servals are a medium-sized cat reaching between 20 and 40 lbs. and standing up to two feet at the shoulders. They typically feature black spots across their bodies, but their most prominent feature has to be their oversized ears. Interestingly, their ears aren't much larger than a typical housecat's, but relative to their head-size, they feature prominently upon their heads. 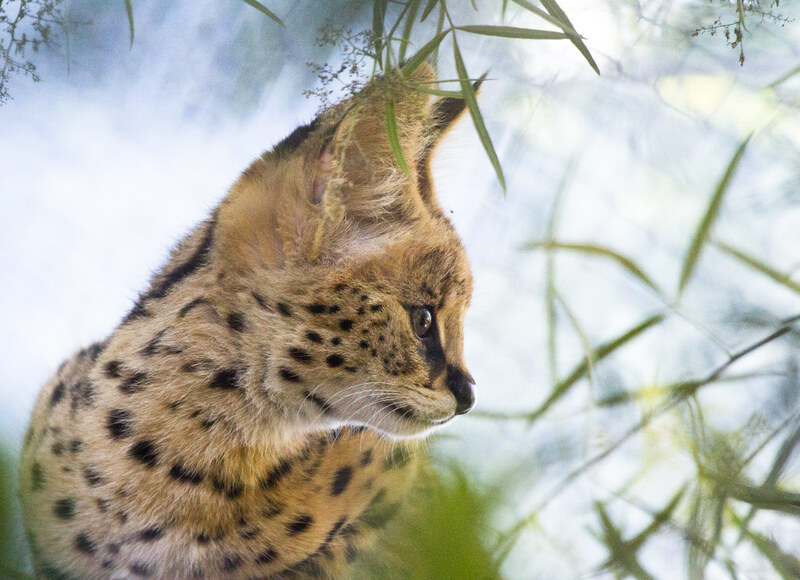 The Serval's ears aren't for show; they are used primarily to hunt its typical prey, which includes rodents, birds, insects, frogs, and small reptiles. They use their acute sense of hearing to locate their prey. They then stalk their prey like most cats and pounce upon them from more than six feet away so they can bite and break their prey's neck. Its ears aren't the only enlarged feature found on the Serval as they also feature the longest legs to body ratio of any cat species. The Fennec Fox is a well-known species of fox thanks to its signature large ears. They are the smallest species of canid and can be found in Saharan North Africa, the Sinai Peninsula, the Arabian Desert, and South West Israel. Their bodies have evolved to help them survive the arid climates they inhabit and their ears feature prominently in that adaptation. While their ears are incredibly sensitive and aid in hunting - they can even hear animals moving around underground - their primary use is to dissipate heat from the fox's small body. This adaptation helps the fox survive in dry, hot climates, but also makes it one of the cutest-looking foxes around. Because of this, some Fennec Foxes have found themselves in the exotic pet market and they can be raised in captivity and kept much like a dog. The Aye-Aye is arguably one of the least attractive species of lemur found in Madagascar thanks to its rodent-like teeth, which perpetually grow throughout the animal's life. They possess a number of enlarged features including a special thin middle finger, but their ears make for one of their most prominent facial features. Compared to other primates, the Aye-Aye's ears are unusual and more akin to those of a cat in appearance though they function well for finding food. Because of the unique way in which they find grubs, they fill an ecological niche more akin to a woodpecker than a lemur. They tap on trees and use their hearing to find grubs inside. They then drill a small hole with their large incisors and stick their specialized middle finger inside to extract their prey. The only other animals known to do this are the striped possum and woodpecker, which make the Aye-Aye one of the strangest primates on the planet. Elephants are well-known for their enlarged ears and have even been featured in a Disney movie for it, but among the two species of extant elephants in Africa, the African Bush Elephant holds the record for having the largest ears to body ratio. The African Bush Elephant's ears aren't merely for show, they provide a number of uses to help the elephants live in the hot, dry climates they find themselves in. Because their ears are large and flat, they can move them in such a way to create air currents that help to remove their excess body heat, which allows them to cool off during the hottest parts of the year. They fan their ears constantly to scare away insects and pests that might otherwise irritate them. Their ears are also highly sensitive and can be used in communications at frequencies humans cannot hear, but that elephants are able to discern over long distances. Elephants also stick their ears out as a show of force when charging, which helps to make their already massive size appear larger in a threatening manner.